Search Engine Giant, Google has come up with a special feature for its Google Assistant where the users can access their device hands-free and by using only voice commands. and is available only on Android. Using the Voice Access app, users will be able to perform actions like navigate through apps, compose and edit text, talk to the Google Assistant, and recreate gestures using certain voice commands. One of the Google Accessibility team member said " After using this product for probably about 10 seconds, I think I’m falling in love with it. You use your voice and you’re able to access the world. It has become a huge staple in my life." Post installing the app, go to Settings > Accessibility and turning on the Voice Access switch. Activate Ok Google command for all locations in the smartphone. 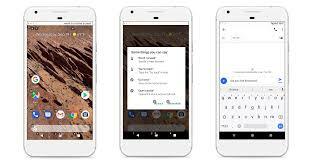 Patrick Clary, Product Manager, Central Accessibility Team, Google said " When using Voice Access, you can compose and edit a text message hands free by saying 'Ok Google,' and open your favourite app with the 'open' command. Then, select the text field by speaking the number Voice Access displays next to it. After saying your message out loud, like 'would you like to meet for lunch tomorrow?' you can edit the text using phrases like 'replace tomorrow with Saturday' to change the day you want to meet"